mathers construction Team is stepping up its efforts to help families in the region during the holiday season, and is inviting the community to join in the effort to spread the spirit of giving to those in need. Mathers, based in Waynesboro, Va., is taking part in several campaigns to assist local families in need this fall. 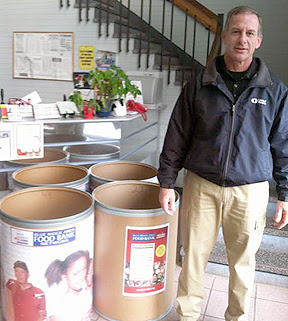 Mathers is involved in the fourth annual Valley Businesses Give Back campaign with the Blue Ridge Area Food Bank, in addition to setting up an online salvation army Red Kettle campaign that will run through Dec. 24. Mathers has also adopted a local family to provide a Thanksgiving meal, a Christmas meal and children’s Christmas gifts. Mathers will match contributions from its employees dollar-for-dollar, and the company is inviting community members to donate money and items toward the three campaigns, including the effort to help the local family with meals and gifts.